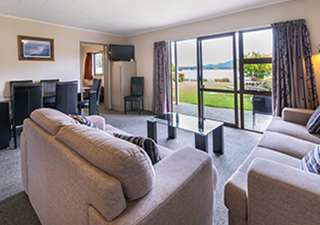 Lakeside Motel & Apartments is superbly situated on the shore of Lake Te Anau commanding a picture perfect view of both a lake that relaxes and mountains that inspire from your well-appointed accommodation. 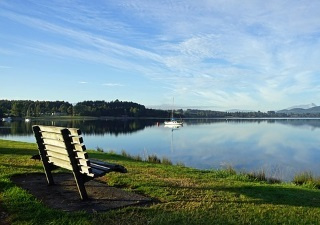 A mere 25 metres separates your accommodation from the lake edge and it's just a short five-minute lakeside walk to Te Anau’s town centre. 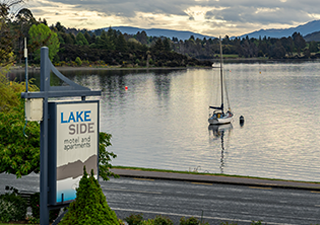 At Lakeside Motel and Apartments you will find lake-edge accommodation nestled amongst a large magnificent garden of established trees, rhododendrons, camellias, roses, beautiful spring bulbs, summer annuals and many other special plants. Superior quality accommodation of varying styles and decor, all with full kitchens and en-suite bathrooms. Lakeside Motel & Apartments is a perfect central location while visiting Milford Sound, Doubtful Sound and other Fiordland sights. Stay with us while you enjoy activities like hiking and walking, fishing, bird-watching, kayaking, photography, and other opportunities in our spectacular mountain scenery. Your hosts Greg & Jodi will help you experience what our stunning region has to offer!